Vodafone has told TechRadar that it decided to bring the likes of Facebook and Google Talk integration of its new 360 service over Twitter. Ian Shepherd, Vodafone's commercial director, told us: "There are 10 times more Facebook users than Twitter in the marketplace, so we decided that was the order in which we will do things, and we feel that's the right order. "However, we remain very committed to [providing Twitter on Vodafone 360] and we're looking to do that in the very near future." This means that while users can connect to Facebook right from a contact in their phonebook, they'll be unable to do so on popular social network Twitter for the time being. Vodafone's new 360 platform - which will launch first on the H1 phone released tomorrow - is designed to connect people together through social networking and instant messaging, along with more conventional texting and emailing. 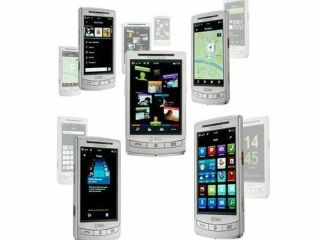 But the network wants to push the service beyond 360-branded handsets, and intends to offer downloadable clients to the likes of Symbian handsets. Currently Nokia phones, like the N85, use Vodafone's My Web service, but this will soon be upgraded to 360, giving access to the social network updates from your contact list. This upgrade will apparently be delivered before Christmas as Vodafone looks to ramp up the availability of 360 to more people. Whether 360 will be a success beyond Vodafone customers remains to be seen, but it will be interesting to find out whether customers get on board with this 'unified life' idea the network is touting.